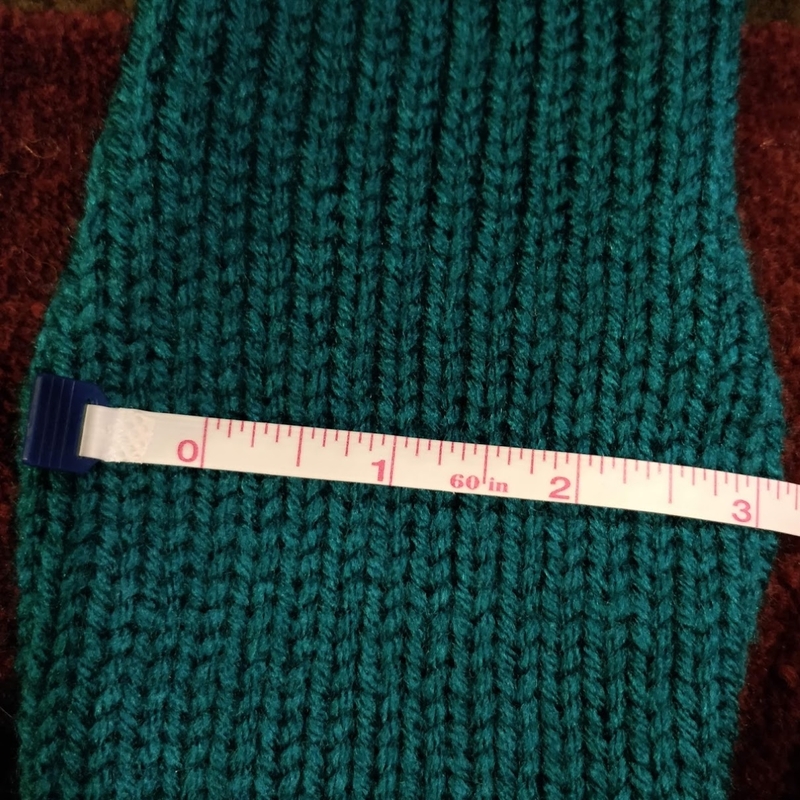 The Knitting Pirate » In Which the Pirate Tries Something New. « In Which the Pirate Knits the Outside of a Hat. In Which the Pirate Tries Something New. My friend Dawn (hi Dawn!) 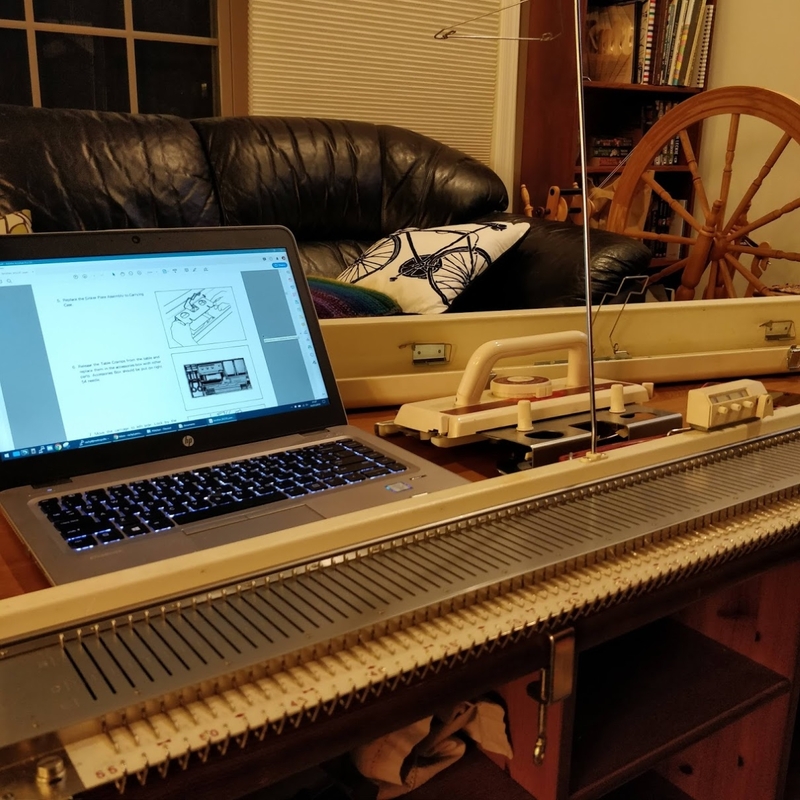 had a knitting machine that was taking up too much space in her spare room, and I thought it might be a fun thing to try with my brother and his kids, who learned to knit last year. I handed it off to my brother, who took it home, cleaned it up and got it mostly running smoothly. 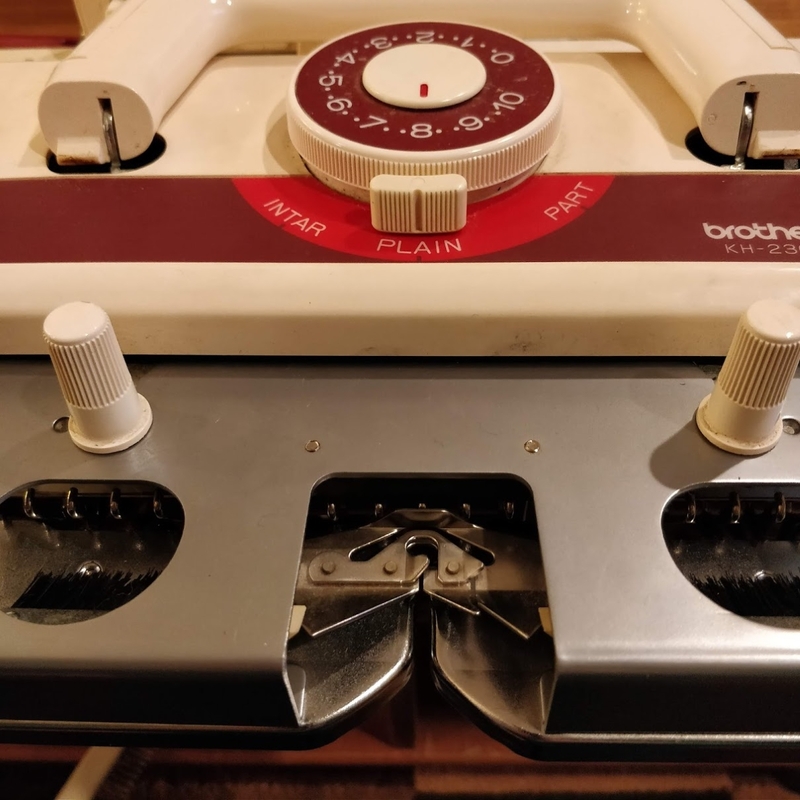 It needed some parts, which I ordered; the machine came back to my house and Michael and I set it up. 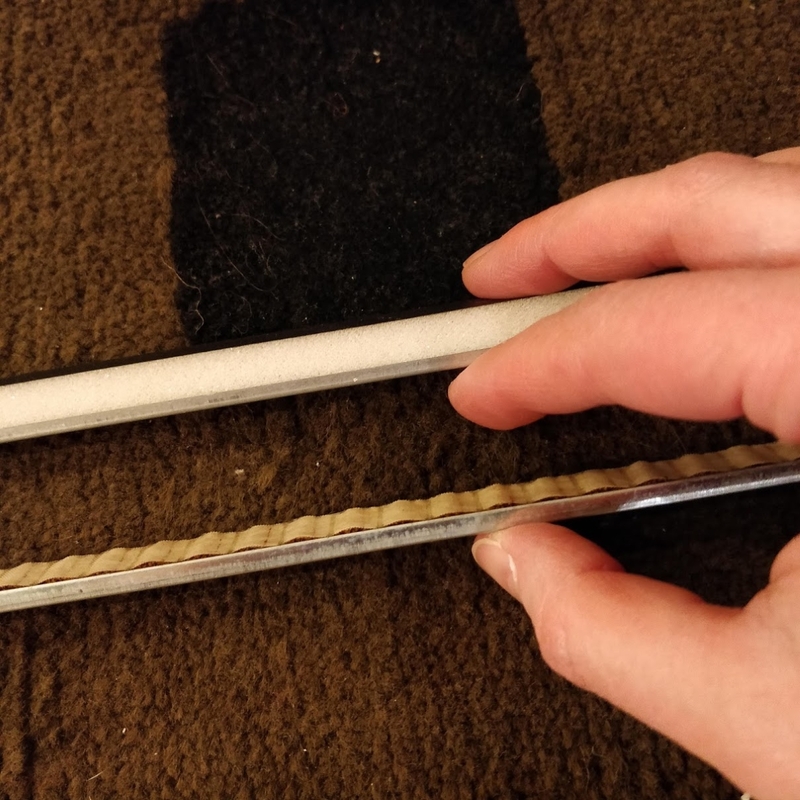 The most crucial part was a new sponge bar. 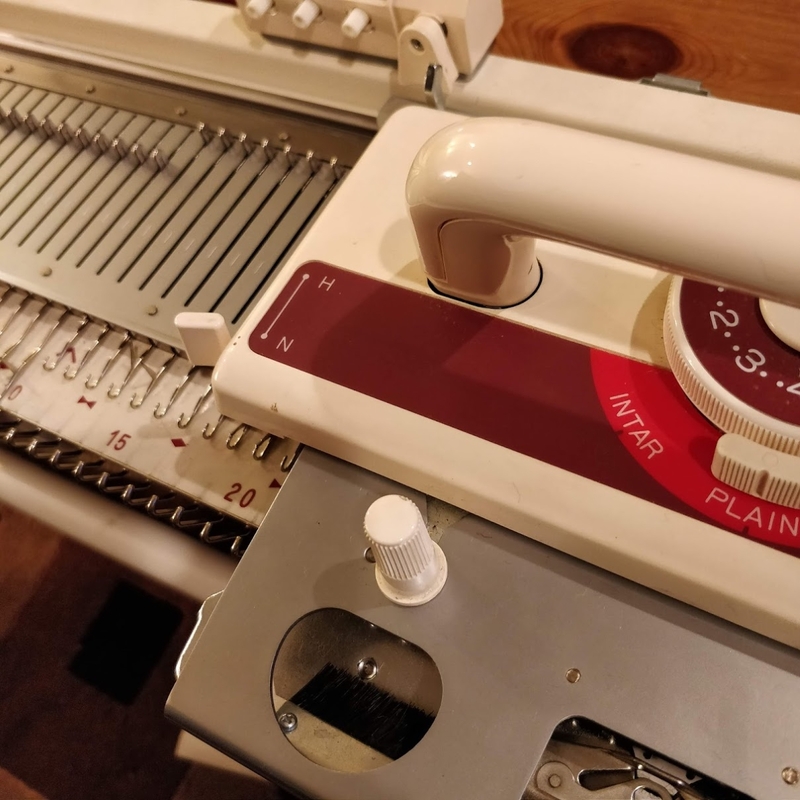 With that installed and one bent needle replaced, we set the machine up on the coffee table and looked through the instruction manual. It's... not very detailed. We had to look up some YouTube videos and other instructions. There will definitely be more to come. 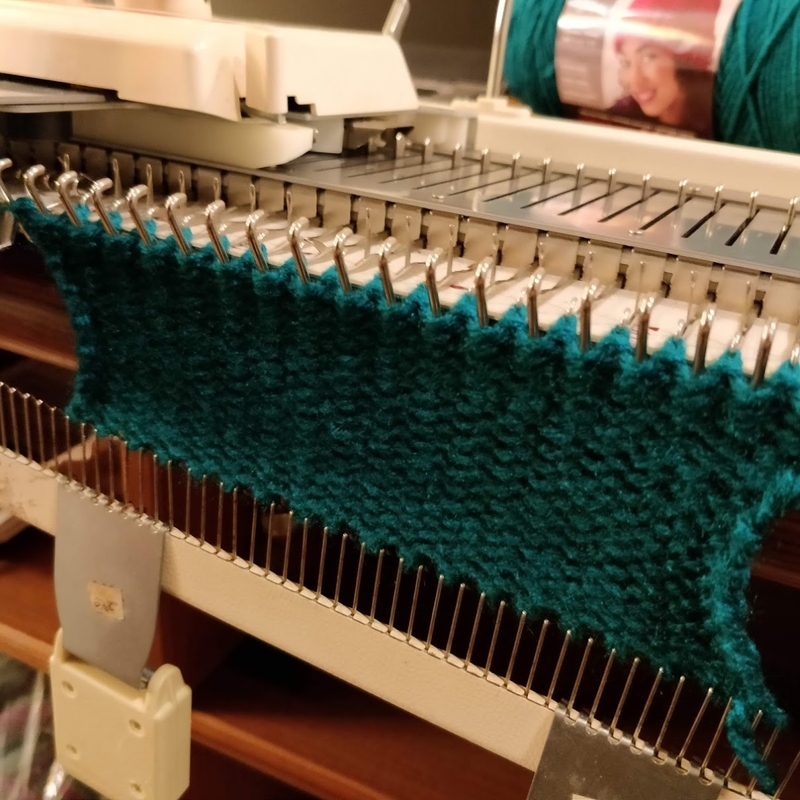 This entry was posted on Saturday, February 2nd, 2019 at 10:46 and is filed under kh230, machine knitting. You can follow any responses to this entry through the RSS 2.0 feed. You can leave a response, or trackback from your own site.